KARIN PARK first found fame in Norway with her 2004 debut ‘Superworldunknown’ before exploring more electronic avenues with ‘Change Your Mind’ in 2006. In 2009, the Swedish born songstress released her third long player ‘Ashes To Gold’ before signing to UK label State Of The Eye for her acclaimed 2012 album ‘Highwire Poetry’. Co-produced and mixed by Christoffer Berg whose credits include THE KNIFE, FEVER RAY and DEPECHE MODE, it has been a steady burner embraced through word of mouth. But even this combination of industrial, dubstep, ambient and synthpop couldn’t prepare for the spectacle of a KARIN PARK live show. A druid pig arrived to overture with a most unsettling voice collage, before KARIN PARK took to the stage for the starkly discordant ‘6000 Years’. Easing the crowd in, the blasting schaffel stomp of ‘Restless’ suddenly snapped in like a strike to the head, provoking animated stares and jerky movements from her. Vocally quite obviously from THE KNIFE and BJÖRK school of song, Karin’s fervent concentration though was quite unlike FEVER RAY or GAZELLE TWIN who each prefer to project an enigmatic detachment from the audience. Despite her towering demeanour, KARIN PARK was welcoming and inclusive. Relishing the art of performance, her smiles certainly didn’t lie and the enjoyable rapport observed with her brother David on drums was often just a knowing look or a nod of appreciation as together, they enthusiastically entertained. Visually, Karin’s striking androgynous persona contrasted heavily with that of her metal head sibling, the pair looking like a mutant genetic experiment to cross LADYTRON with SLAYER! But the incongruous combination worked and was probably one of the most refreshing presentations of electronic music within a concert setting for a quite a while! The difference was one of the key elements in the energetic but tight chemistry of the show. Both Parks were impressive multi-taskers with David primarily on drums but also providing backing vocals and even venturing onto keyboards while Karin was the perfect front woman who dabbled with a Korg MS20 and keytar. The esoteric mood pieces such as ‘Tension’ provided important spatial counterpoints to the evening, showing real melancholic depth and raspy emotion. But there was also a real pop sensibility as quirky but danceable synthpop tunes like ‘Explosions’ proved. This was none more apparent than with ‘Can’t Stop Now’, a superb electro funk number that came over like MICHAEL JACKSON gone Goth! Meanwhile ‘Ashes’ was cut from a similar disco vibe and musically DURAN DURAN Nordic style! And these qualities made KARIN PARK more ROBYN than THE KNIFE yet she still managed to maintain her mistress of darkness credentials. But would the other Karin (Dreijer Andersson that is) have actually written a song for the Eurovision Song Contest? Although not part of the set, ‘I Feed You My Love’, which is being sung by MARGARET BERGER as Norway’s entry in 2013, displays an accessibility in KARIN PARK that will either subvert conventional pop forms or open up intense musicality, depending on one’s artistic standpoint. As MARC ALMOND once said, one cannot be truly subversive unless there is access to the mainstream and there can perhaps be nothing more mainstream than Eurovision! 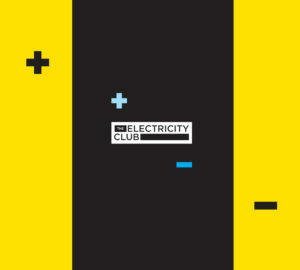 So The Electricity Club wishes her the best of luck in Malmö. As the set continued, the trancey ‘Out Of The Cage’ played with lovely panoramic textures to add another dimension to proceedings while ‘Fryngies’ was boosted by some feisty aggression that included even more MS20 action. The superb ‘Thousand Loaded Guns’ finished the main set with a dramatic climax that saw both Karin and David frantically drumming in unison before the formal conclusion via her own favourite song, the beautiful ‘Bending Albert’s Law’. It was a dynamic hour long set that had the crowd transfixed with a powerful, resonant soundbase. It’s not often that a superlative such as awesome is appropriately used, but tonight, it was pretty damn close with how KARIN PARK performed on that stage in London.